As the U.S. population ages, millions more will face the prospect of losing their hearing, researchers report. “In the coming decades, there will be an increased need for affordable interventions and access to hearing health care services,” said lead study author Adele Goman. She’s a research fellow at Hopkins’ Center on Aging and Health. Neil DiSarno is chief staff officer of audiology at the American Speech-Language-Hearing Association. “This study projects unprecedented growth in this chronic health condition,” he said. “In order to provide appropriate treatment to those now experiencing the effects of hearing impairment, an effort must be undertaken to ensure the establishment of both public and private insurance coverage,” DiSarno said. Beyond cost, hearing loss takes a toll on an individual’s quality of life and ability to communicate, work and engage in social and family activities, according to another hearing specialist. “Hearing loss has been associated with a decrease in mental ability; this reminds us of the need for provision of hearing care for our population. Its importance will continue to increase,” said Dr. Ian Storper. He’s director of otology at the Center for Hearing and Balance Disorders at the New York Head and Neck Institute at Lenox Hill Hospital in New York City. Dr. Debara Tucci, a spokesperson for the American Academy of Otolaryngology, Head and Neck Surgery, said that people aren’t doomed to lose their hearing as they age. “Care should be taken to limit the volume of sound from headphones and limit the exposure to the sound of firearms used at ranges or while hunting and protect oneself from industrial noise at work,” Tucci said. Among older adults who suffer from hearing loss, there are higher incidences of depression, anxiety, a higher rate of hospitalization and a higher rate of falls, Tucci said. She also agreed there’s evidence of an association between hearing loss and mental decline. People should get their hearing tested, Tucci said. 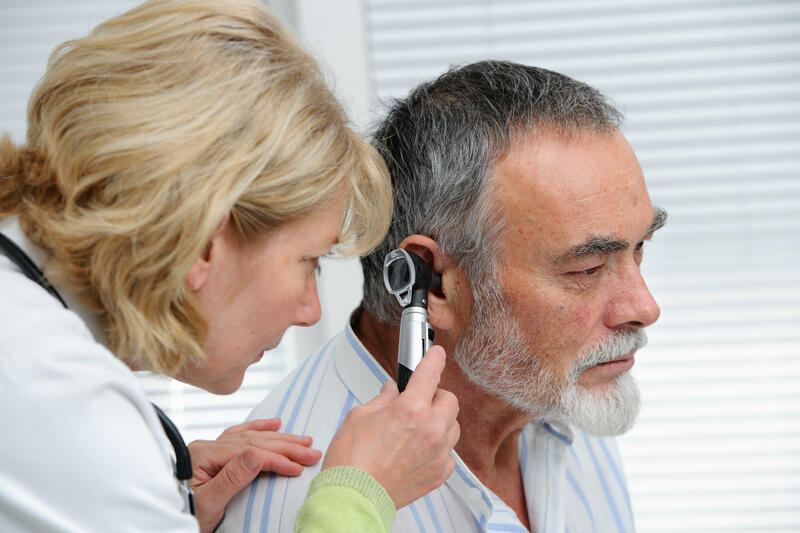 “I would recommend [testing] when you are 55 to 60 to see if there is any hearing loss. People should not take hearing loss for granted as they get older. There are ways to prevent and treat hearing loss,” she said.